Innocence by David Bowman is a Christian art piece that is available framed or unframed. 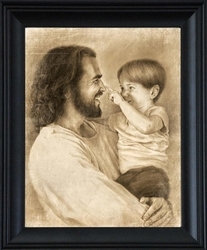 It is a Top Ten seller at LordsArt.com and makes a great addition to any home decor. 7 Options Available - See drop down box for pricing.